Video marketing is an effective tool for successfully digital marketing. Through the marketing video, you can explain the product features, how to use the product or service etc that is sure to increase sales. A product description video proved to bring new customers to eCommerce Sales via YouTube. Here are few ways in which eCommerce Salescan be increased via YouTube. 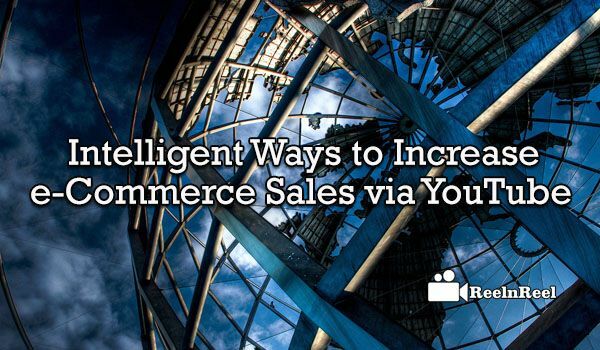 Here are the 12 Intelligent Ways to Increase e-Commerce Sales via YouTube. 1.Make a video that answer all the questions of the customers about the product. When the customers have confusion, he is not going to buy anything. Thus FAQ YouTube videos are the best way to increase customer conversions. 2.Don’t create videos to attract new customers. Instead, make the customer experience better for the existing ones. A satisfied customer will bring more customers. 3.Allow your viewers to share your YouTube video. This helps to expand the brand. 4.When the content is relevant and unique more people would watch your video and this expands your audience. 5.Create your YouTube marketing videos more informative. 6.Using annotation perfectly in YouTube video is sure to generate leads. 7.Having a product description YouTube video increases the chance for the e-commerce business to get better rank in Google search results. 8.People love watching videos which are easier than reading content. Videos keep the customers engaged and can influence them to purchase the product. 9.With YouTube marketing videos, it is possible to emotionally connect with the customers. 10.If you are selling a technical product, make a video that explains the technical information so that consumers easily understand them. 11.Online sales can be increased with the videos that help visitors in product selection. 12.There is no need to spend much for creating a marketing video. Just take care that your video is informative, short and interesting. This automatically increases conversion rate.